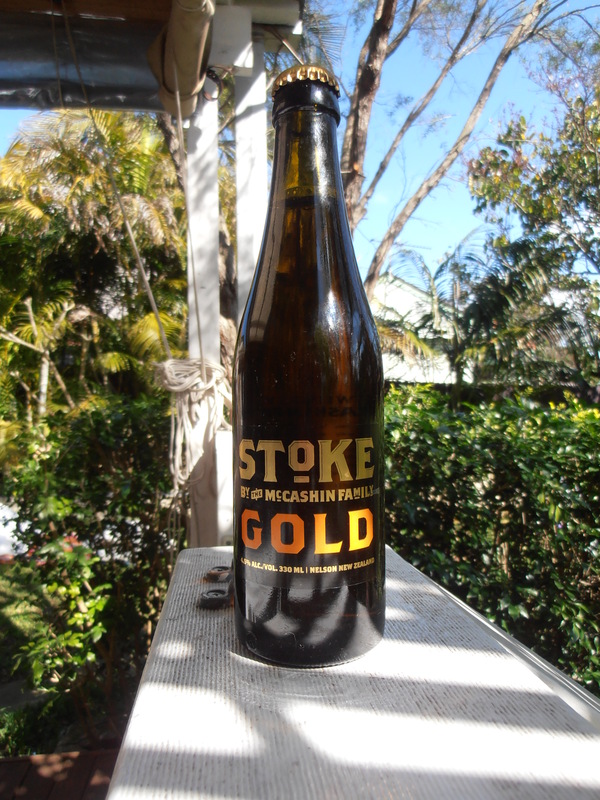 It’s taken a while, but BotF has finally obtained and consumed the third Stoke Beer made by the McCashin family in New Zealand. The McCashins are genuine beverage entrepeneurs, not only making beer, but also cider, water, wine and vodka. The common ingredient is the water they use – which has been trademarked – Palaeo Water. This water apparently comes from a 26,000 year old aquifer and is incredibly pure. It is the basis for their 26000 Vodka. I guess water can’t go off, but science was never my strong point. Such vodka would be pearls before this swine, and I’ll just stick to the beer. The packaging and naming of the 3 Stoke Beers is very consistent. The only difference is the name and colour of the beer on the label. All 3 varieties are 4.5% alcohol and they’re all tank conditioned for 3 weeks. My favourite was the Stoke Dark, but that’s the dark beer bias coming through. 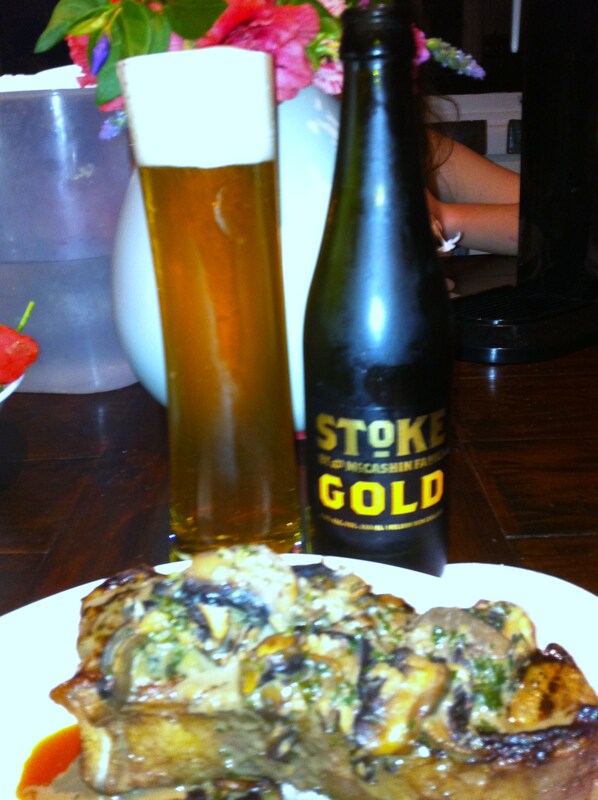 There’s nothing wrong with the Stoke Gold. This would be the summer special. Clean, crisp beer – not a particularly big taste, but a mild bitter taste that smashes any thirst. McCashins Brewery is close by a number of other breweries on the North of the South Island, and there’s even a beer tour you can do. 8 Wired, Moa Brewing Co, Totara Brewing and a number of brilliant looking pubs are all covered on the map – bugger the ubiquitous Sauv Blanc – this would be the go. Father’s Day is looking promising weather-wise in Sydney. I won’t care if it does rain, as the family is taking me to Murray’s at Manly for a Father’s Day degustation lunch and I’ll hopefully be comfortably numb by 2pm. The kids aren’t left out with a 3 course kid’s degustation menu accompanied by 3 different Bert’s soft drink. Hopefully all Dads can tilt a couple of bottles of amber today.